Organist and Keyboardist Joey Defrancesco leads a star studded cast of players through this intriguing and reflective mainly self penned album ‘In the key of the and Universe’ including Billy Hart on Drums, Troy Roberts on Saxophone and Bass, Sammy Figueroa on percussion joined on three tracks by the mighty Pharaoh Sanders. ‘Awake and Blessed’ and ‘It’s swung wide Open’ are spritely numbers that groove along apace. 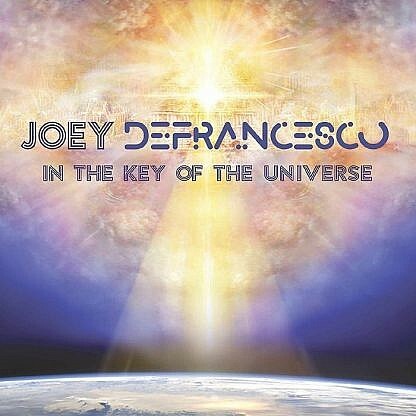 A very melodic Pharoah features on ‘In the key of the Universe’ a strong mid tempo groover, the lovely shuffler ‘And so it is’ and an 11 min version of his beautiful ‘The Creator has a masterplan ‘. Strong album throughout.